to give and to receive it. 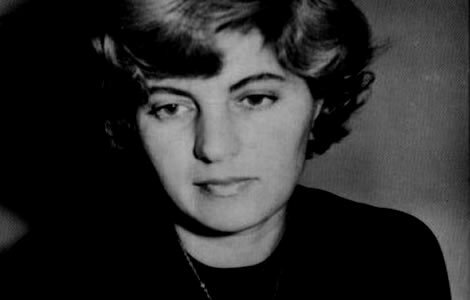 Blaga Dimitrova, born 1922, was one of the most distinguished Bulgarian poets and memorable figures in Bulgaria's political and social life . She was vice president of her country in the first democratic government after the fall of communism. She is the author of more than 40 volumes of poetry, novels, plays, essays. She has won the Herder Prize and several others including the French Medal of Merit for Freedom. and Bulgaria's highest state order of merit "Stara Planina". The above poem is deeply affecting and philosophical in its meditation on the misfortune of leading a loveless life. The narrator is not sulky about her fate . Rather she is ready to forgive and asks with a sense of wonder -" What gardens were you born for?". She's talking here about her own life. 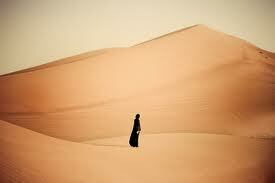 The deserts present her with an external image that mirrors her own condition. Thus it suggests there is much potential in the world that goes unfulfilled. She does not scorn the deserts because she understands this: that barrenness is not necessarily an indication of intrinsic nature or character, but may be the result of bad luck or, if you will, fate. Where others see only deserts, she sees potential gardens that never had the chance to be gardens. Thus in a "forgiving sense" , she (wistfully instead of scornfully) says to those who did not return love or nourish it, "Surely there could have been some flowerings you were meant for.."